The Mens Ortles 2 PrimaLoft Jacket is a windproof and water–repellent jacket that's highly breathable as well as quick–drying. PrimaLoft Silver synthetic insulation keeps you warm even when wet, while the lightweight, yet durable Pertex Quantum outer fabric is ideal for alpine use. The Ortles Insulation Jacket features Free Motion patterning to prevent hem–lift while climbing – so it can be worn alone as a warm outer layer or as an insulating mid layer under an outer shell. 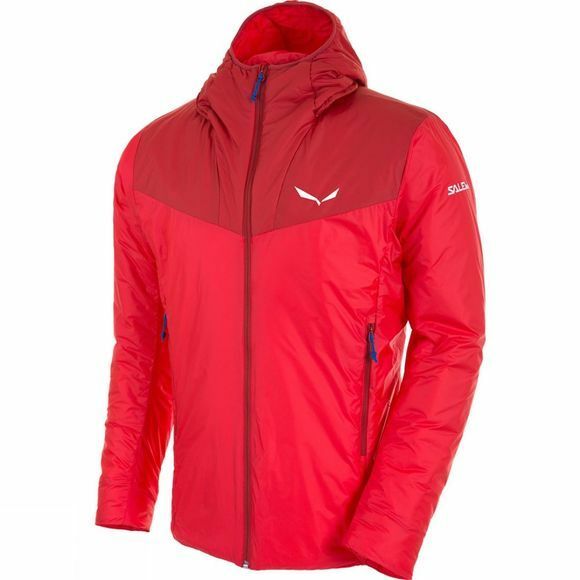 Designed according to Salewa’s body mapping system, it uses targeted PrimaLoft Silver 100g and 60g insulation to provide the right amount of warmth at different parts of the body. In addition, it packs down small to save space in your backpack.